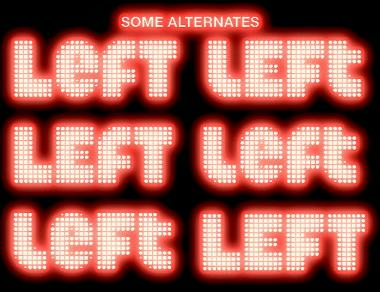 Some alternates at the "a", "e", "f", "l" and "t"
Info: Created on 30th April 2012 . Last edited on 25th March 2015. 10/10 again! I was looking forward to seeing the complete font since your fontout1 a sample! @four: Thanks for your comments and support. It was a little bit hard at the beginning, and I'm not completely satisfied with the aspect of some glyphs of the font... Work in progress, once again. Congratulations! FontStruct Staff have deemed your FontStruction worthy of special mention. “zporty eYe/FS” is now a Top Pick. @meek: Thanks a lot for this new TP, boss. I'm still working on some little unfinished aspects. @p2pnut: Thanks, m.st.r, that was my first intention. @Upixel: Merci beaucoup, j'aime aussi les lettres un peu grosses. Thank you very much, I also like the letters a bit bigger. @laynecom, @minimum: Many thanks, I'm very grateful with your continuous support, encouragement and mastering. @Frodo7, @cablecomputer: Thanks a lot, dear compañeros, for your invaluable support an all your words of encouragement!